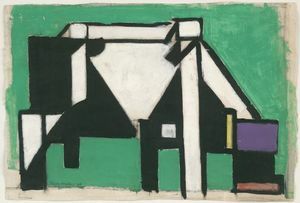 Doesburg was born on August 30, 1883 and died on March 7, 1931. 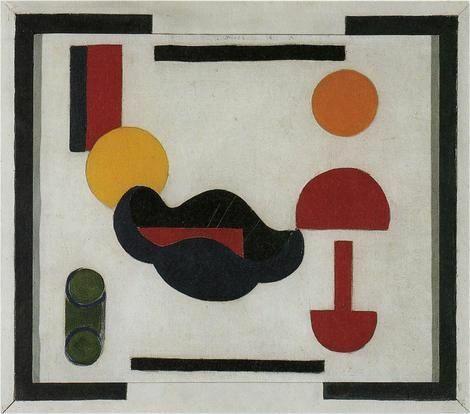 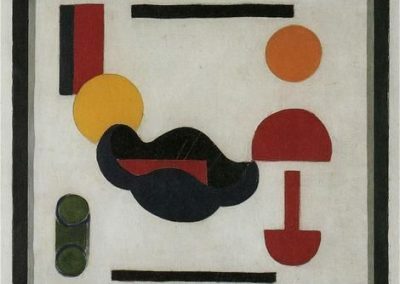 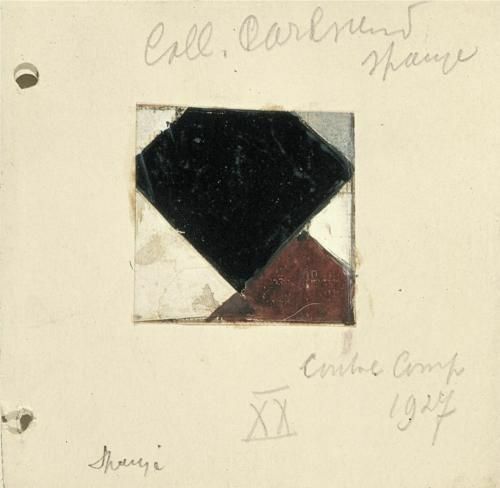 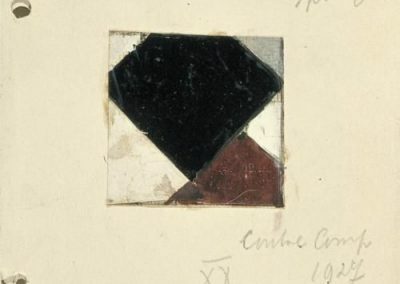 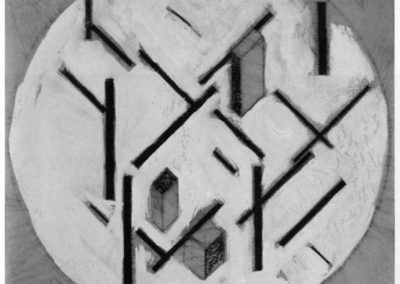 His given name was Christian Emil Marie Kupper, but he adopted Theo van Doesburg in memory of his father. 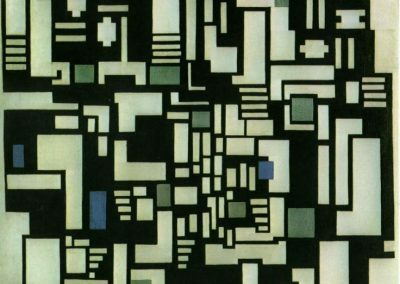 “I. 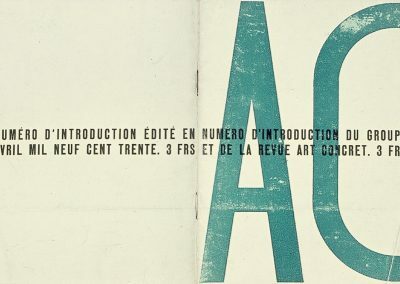 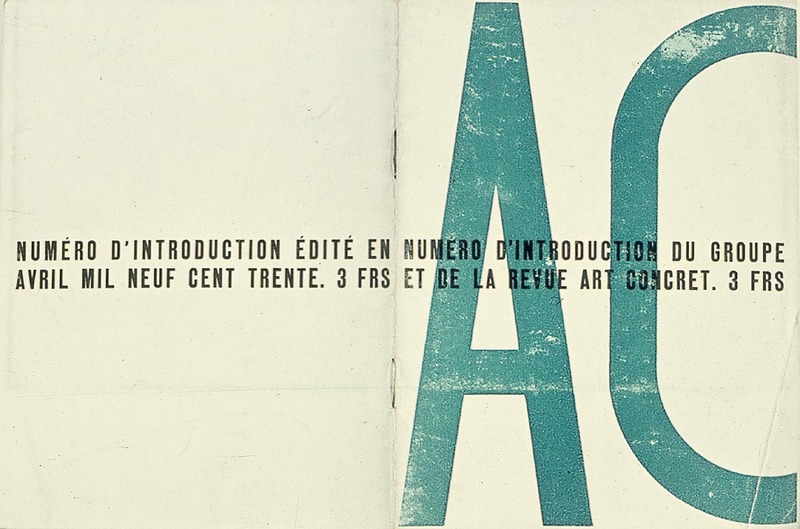 K. Bonset” and “Aldo Camini” were pseudonyms. 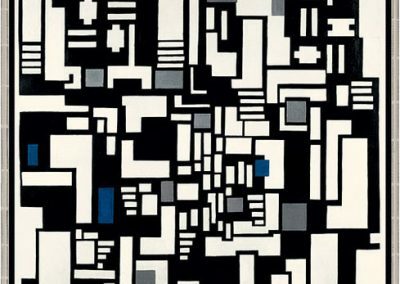 Van Doesburg is best known as the founder and editor of the journal ‘De Stijl’, which brought together painters and architects in support of Modern art. 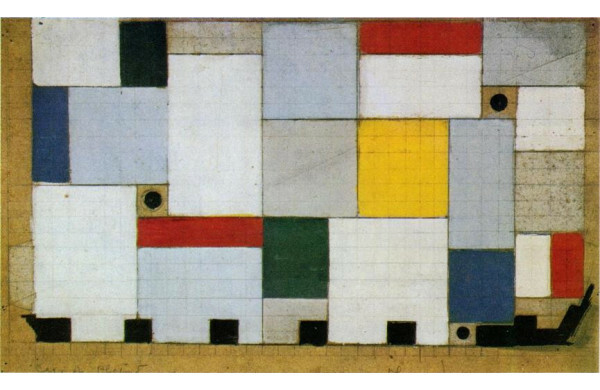 Among his supporters and collaborators were the artist Piet Mondrian, and the architects J. J. P. Oud and Jan Wils. 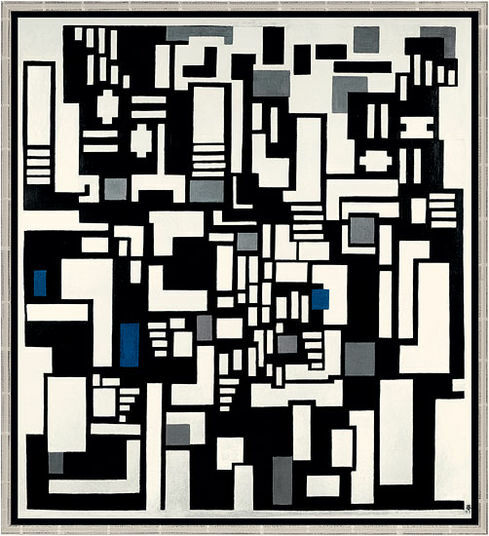 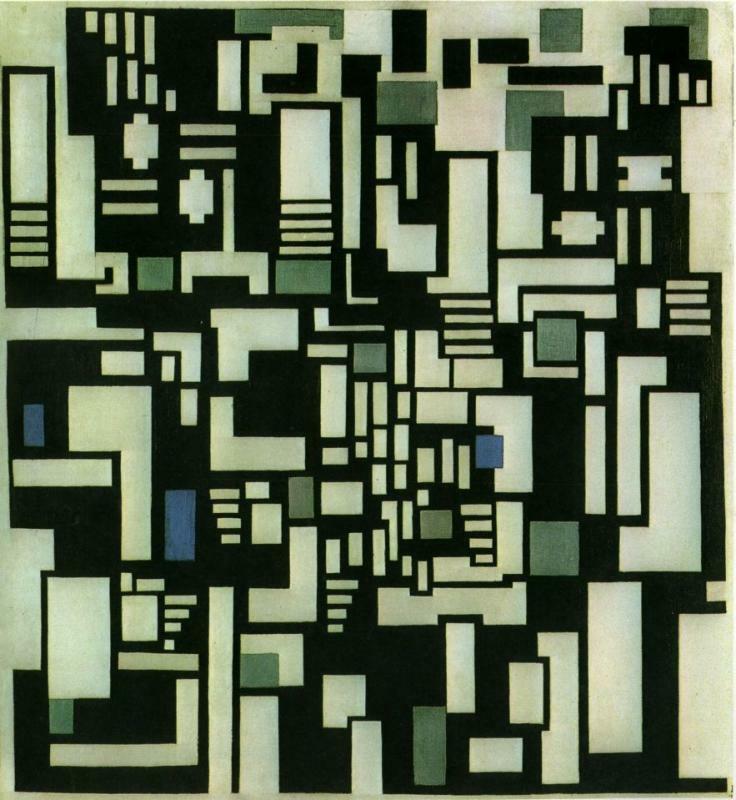 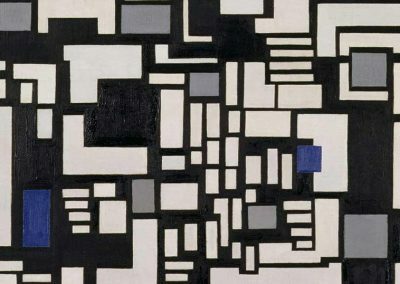 Van Doesburg’s own paintings were abstractions based on nature, dissolving the difference between foreground and background. 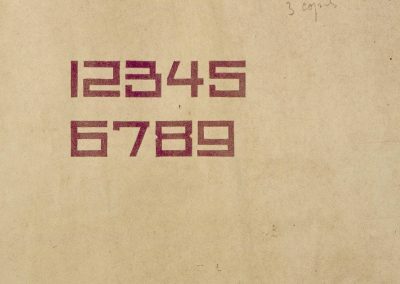 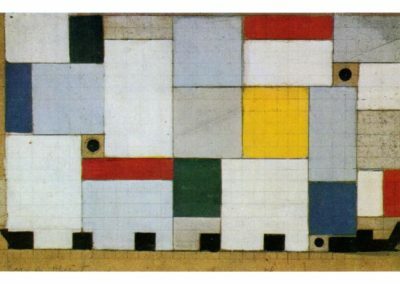 In the early 1920s, Van Doesburg travelled to Germany, where he lectured at the Bauhaus and was involved in the Dada movement. 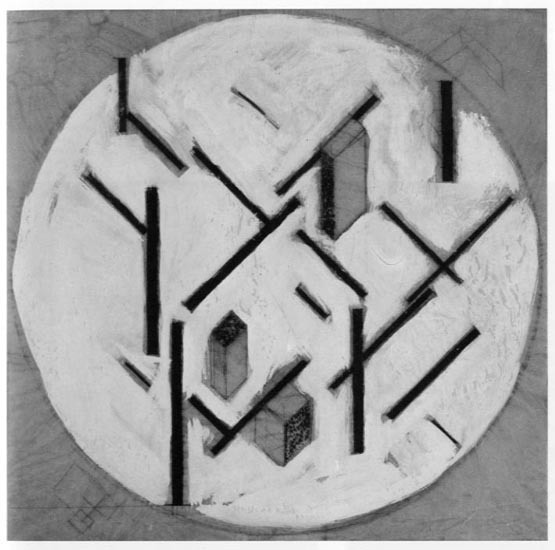 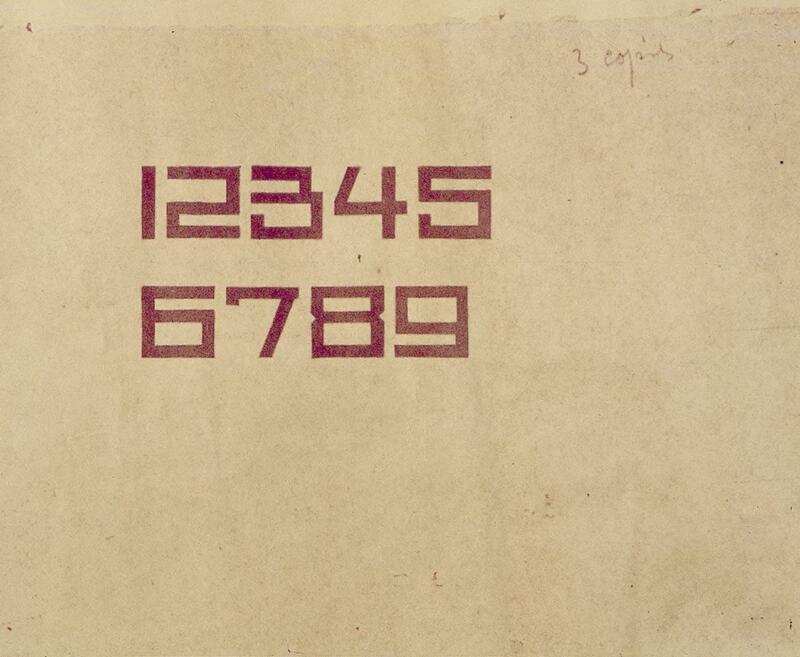 In 1923 he moved to Paris and experimented with different concepts in architecture. 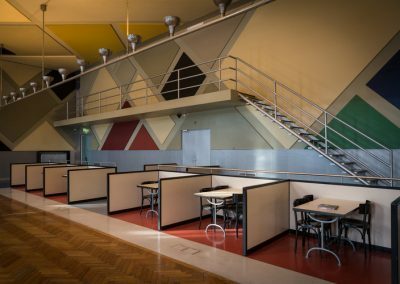 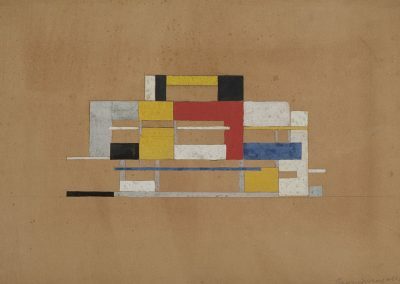 Unlike the other sources, Macmillan indicates that van Doesburg was not an architect, although his works “… have some significance for the history of modern architecture… he was a painter, designer, typographer, critic, writer, and teacher…”. 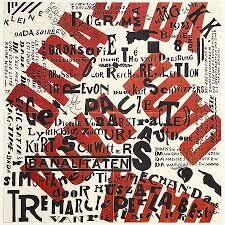 Dutch architect, painter and prominent member of De Stijl group.